Wood Flip Flop Top, by Our Backyard Studio in Mill Creek, WA! 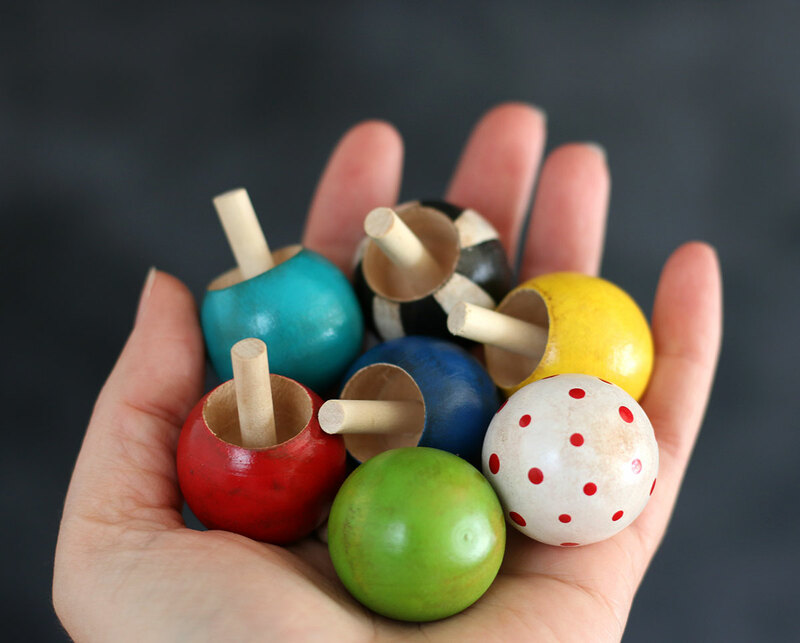 Our super fun wooden tops not only look pretty, but are loads of fun to play with! Just a flick of the fingers sends this top spinning on any smooth even surface - spin it fast enough, and it will flop over from the ball side onto the peg and keep on spinning! This is for the GREEN top. 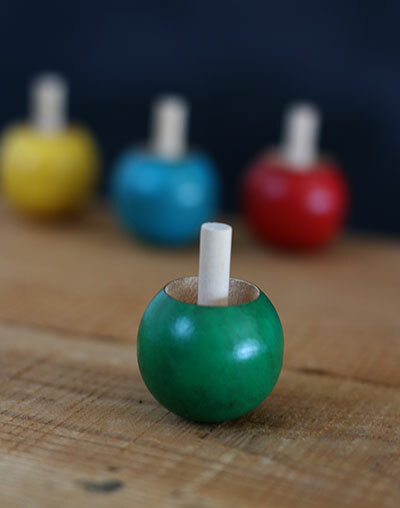 Measures 1-1/4 inches in diameter, 1-5/8 inches long.